The San Joaquin-Sacramento River Delta is considered by local farmers to be the birthplace of integrated pest management, said Cathy Hemly of Green and Hemly farms on Randall Island. 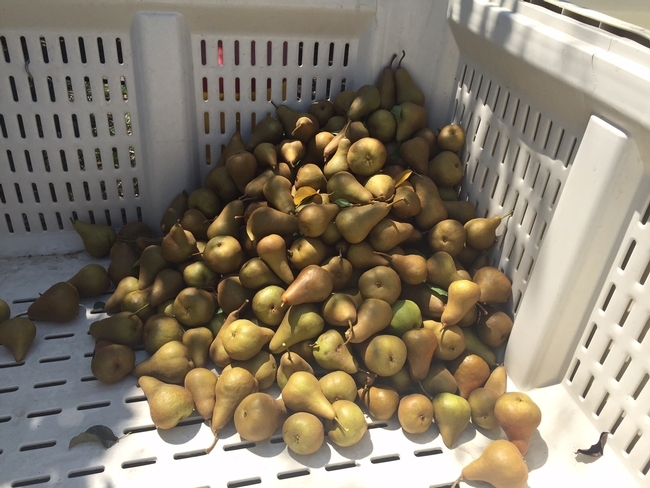 "A group of pear growers, working with ag extension, came up with IPM," Hemly said. Hemly shared the IPM history during a tour of the delta for the International Food Bloggers Conference (IFBC), held over the weekend in Sacramento. Food bloggers gather for lunch under an ancient sycamore tree at the Elliott Pear Farm. Hemly said about 50 years ago, pear farmers were faced with growing pest resistance to the pesticide glutathione, which was used routinely to control coddling moth. 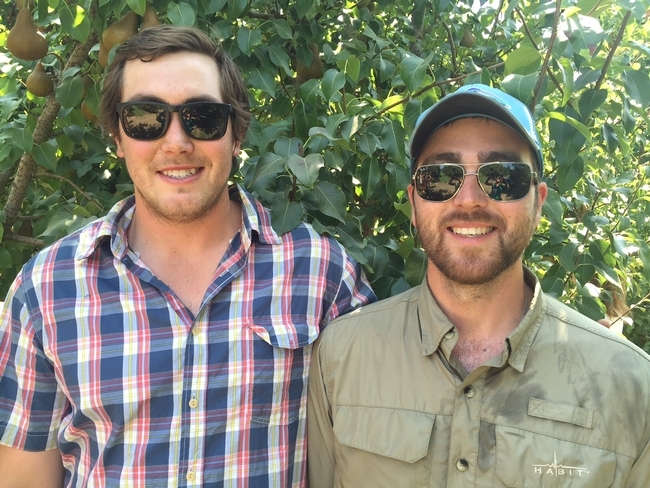 "Growers got together with a team of UC scientists. They were the NASA engineers of their day," Hemly said. "We had to figure out a better way to monitor pests. The growers and the university got that started." An emerging technology, confusing male coddling moth by releasing pheromones into the air, was showing promise. Protocols for using pheromone confusion were developed with the pear industry, Hemly said. The relationship with the pear industry and UC Cooperative Extension continues to this day. 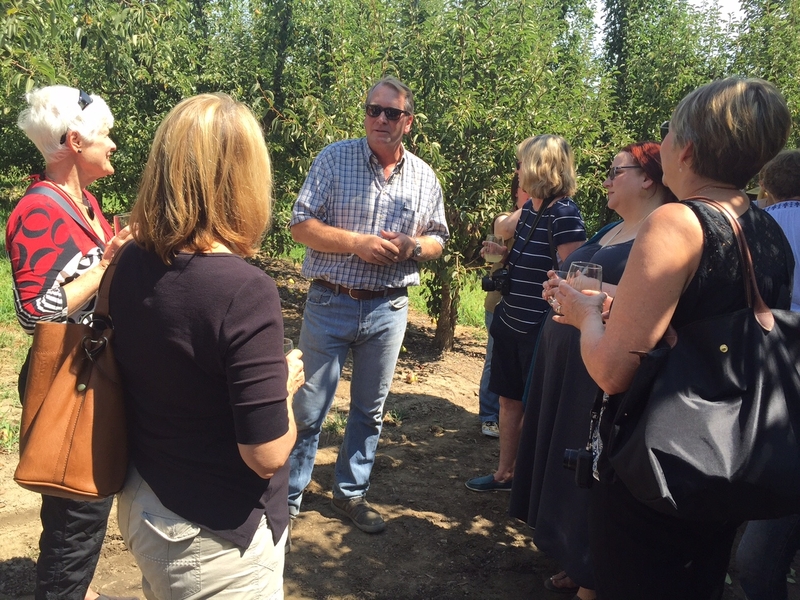 The IFBC tour visited the Randall Island pear farm of Richard Elliott and family. Son Rich Elliott said the family attends UC Cooperative Extension advisor Chuck Ingels' pear research meeting every year. Another son, Ryan Elliott, said fireblight is the biggest disease problem they deal with on the farm. "Chuck Ingels comes by," Ryan Elliott said. "We learn a lot from him." 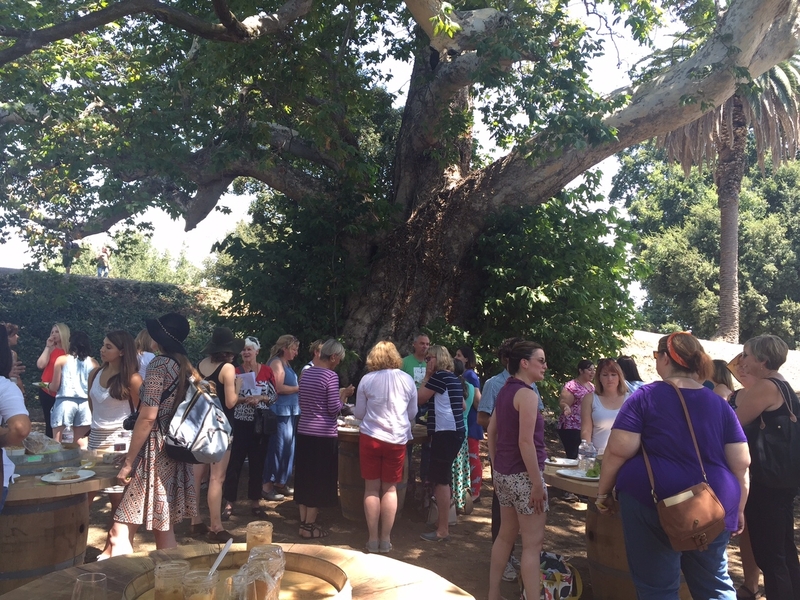 IFBC ended yesterday, but the organizers announced the conference will be back in Sacramento, scheduled for Sept. 29 - Oct. 1, 2017. Farmer Richard Elliott, center, chats with food bloggers. Ryan Elliott, left, and Richard Elliott, are the newest generation of farmers at the Elliott Pear Farm.